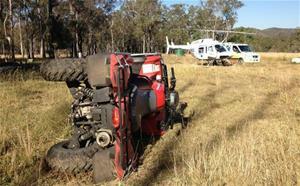 9 Apr 19 - Willowbank Raceway, in conjunction with IHRA Australia, has been working on planned upgrades to the safety catchment area of the facility that commenced over 12 months ago. NxtGen Engineering has thrown their support behind the Pro Stock for Round 3 of the 400 Thunder Pro Stock Championship, to be held at Willowbank Raceway’s Santo’s Super Thunder event, April 19, 2019 where the category will be one of the headline attractions along with Uplift Cranes Top Fuel, Titan Cranes Pro Alcohol and Top Bike. 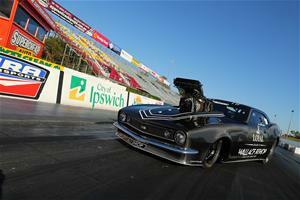 The annual Good Friday event is expected to attract another massive spectator crowd to the Ipswich venue. 14 Feb 19 - One of Queensland's most dedicated and longest competing drag racers will be back in a freshened up Toyota Corolla for this Saturday's opening round of the Queensland Drag Racing Championships at Willowbank Raceway. 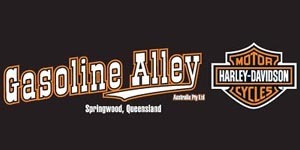 10 Jan 19 - You could be riding a brand new, 2019 Harley Davidson valued at $16,495 for just Fifty Dollars in Willowbank Raceway’s latest promotion. 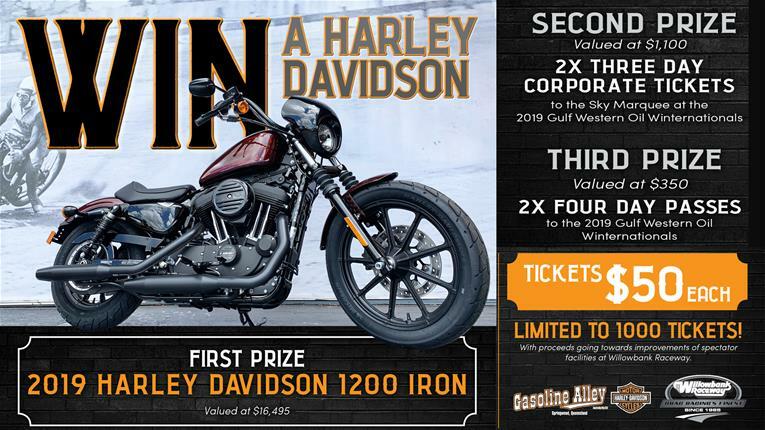 We are raffling the stunning 1200 Iron from Gasoline Alley Harley Davidson to raise funds for further improvements to Raceway spectator facilities. 7 Jan 19 - Queensland's Kelly Bettes lived up to her championship-winning reputation at New Years Thunder at Willowbank Raceway on Saturday night, recovering from a first round mistake to take out the final round from America's Ashley Sanford. 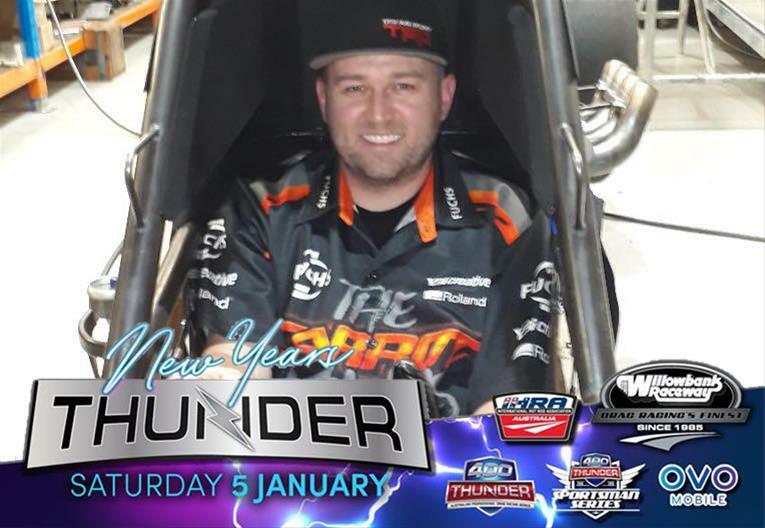 2 Jan 19 - Australian NHRA Top Fuel driver Richie Crampton will make his second ever nitro appearance on home soil as part of Willowbank Raceway's New Years Thunder event this Saturday, January 5. 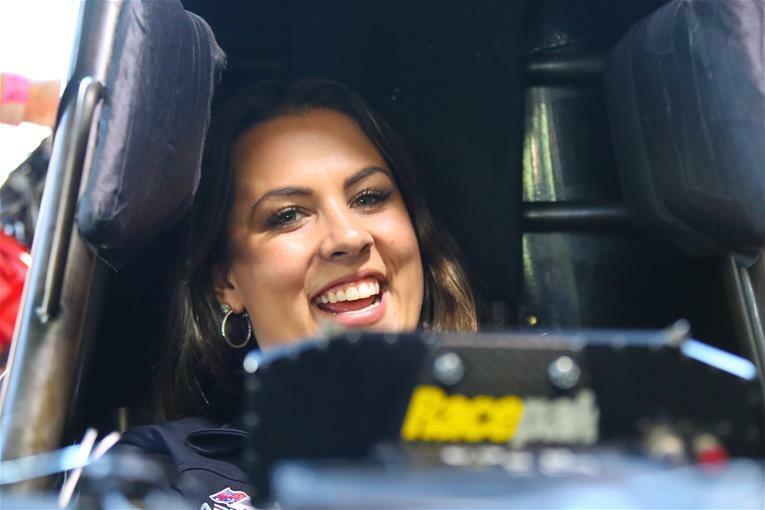 2 Jan 19 - California's Ashley Sanford is ready to shake her bridesmaid status in Top Fuel at this Saturday's New Years Thunder event at Willowbank Raceway. 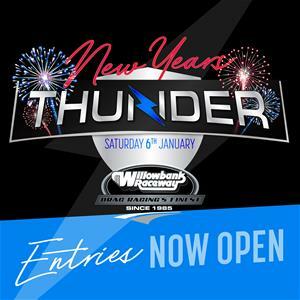 20 Dec 18 - Willowbank Raceway is set for a high-speed entry to 2019 with an action packed New Year’s Thunder event assured for the Ipswich venue on Saturday January 5. The round of the 400 Thunder National Championship series has attracted a top-quality entry list of over 130 drivers and riders from the USA, New Zealand and all over Australia. 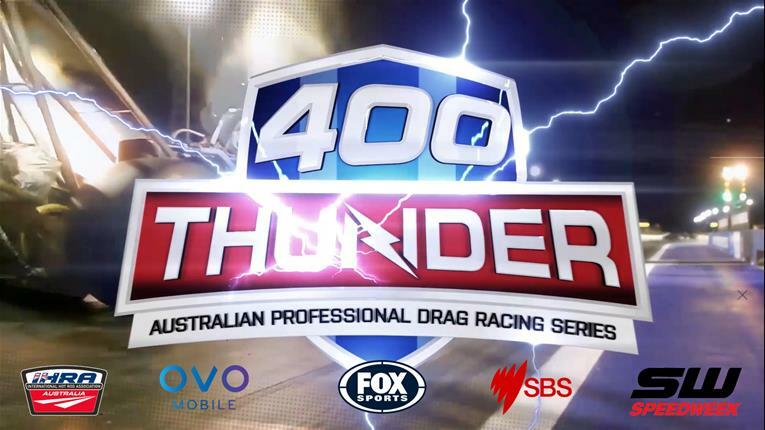 13 Dec 18 - Drag Racing fans are in for an absolute feast of 400 Thunder action on TV with nine separate one hour shows scheduled to be screened on SBS Speedweek over the coming weeks. 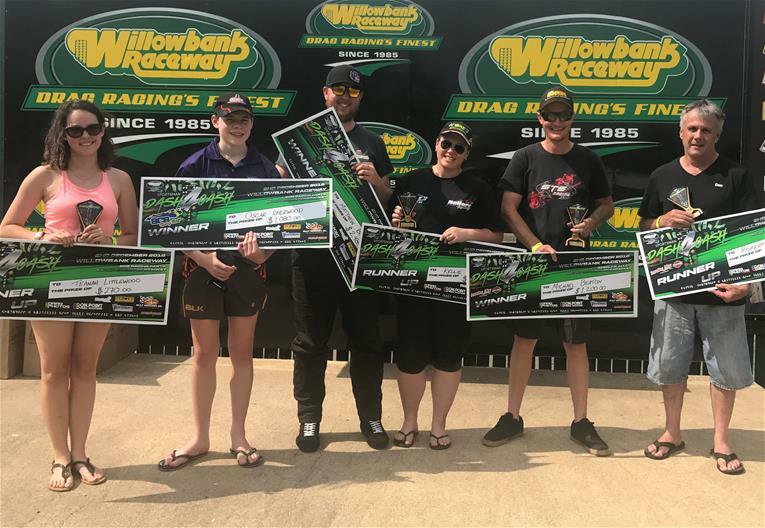 3 Dec 18 - Willowbank Raceway’s inaugural Dash 4 Cash event saw incredibly close racing despite stifling forty-degree heat stressing drivers, riders and crews to the limit. 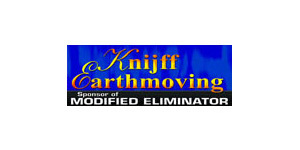 19 Nov 18 - Willowbank Raceway has secured sponsor support of a number of special awards adding to the big money prize pools on offer to racers contesting the innovative Dash 4 Cash event on December 2nd . 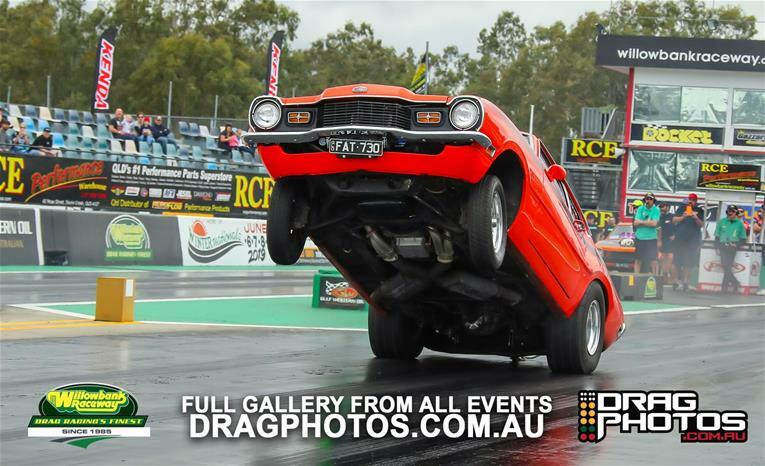 8 Nov 18 - Willowbank Raceway has released a packed calendar of events for the 2019 season with almost 100 days of Drag Racing action listed plus special events including the Queensland Auto Spectacular and blockbuster CMC Rocks country music festival. 30 Oct 18 - Willowbank Raceway is launching a new “Early Bird Special” range of tickets allowing fans to save up to $35 per head on admission to Australia’s biggest and best Drag Race. 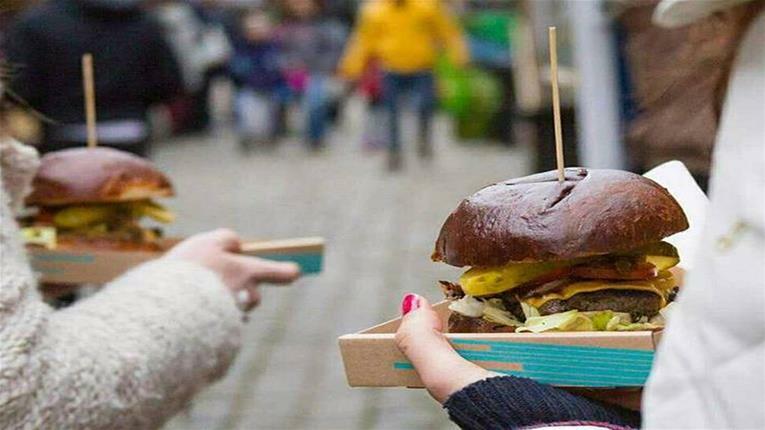 12 Oct 18 - Willowbank Raceway is making a huge shift in the food and refreshment options available to fans and racers by entering into new facility catering arrangements with the EatDrinks Group. 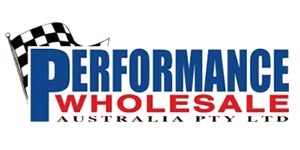 5 Oct 18 - Willowbank Raceway is launching a new weekend of Sportsman and Dial Your Own Bracket Racing with the RCE Performance Warehouse Jetcar and Sportsman Thunder on Saturday December 1st backed up with the Dash 4 Cash on Sunday the 2nd. 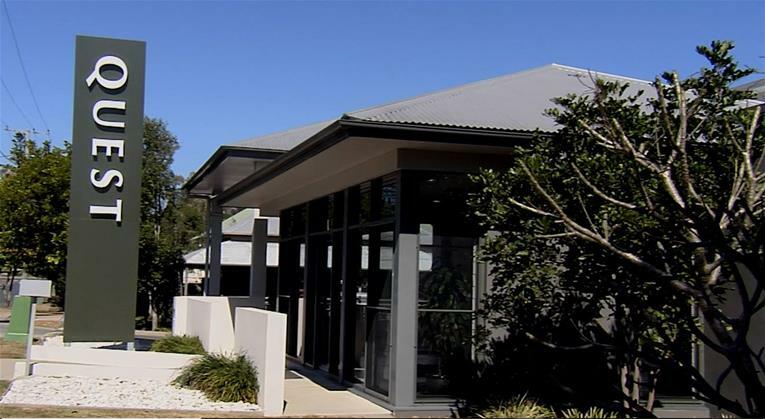 25 Sep 18 - Willowbank Raceway is extremely pleased to have secured Quest Ipswich Apartments Hotel as our Official Accommodation Partner. 31 Aug 18 - Mitchell Bean's beautiful 1968 Chevrolet Camaro will be a must-see for LS-motor fanatics at this Saturday's Kenda Tires Radial Riot at Willowbank Raceway. 30 Aug 18 - Janelle Scott's Holden Torana might as well be considered part of the family. A 20 year journey with the iconic Australian muscle car has seen Scott and husband Colin take it from a ten second streeter to a wild, eight second quarter mile, naturally aspirated radial monster. 31 Jul 18 - Here’s series commentator, Terry Dale’s, recap of a great night’s racing. “We were greeted with blue skies and tough competition for the penultimate round of the mighty Willowbank Raceway Street Series. 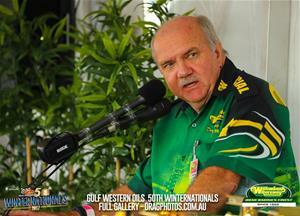 16 Jul 18 - Willowbank Raceway commentator, Terry Dale, provides his wrap up of Round Four of the Queensland Drag Racing Championship. 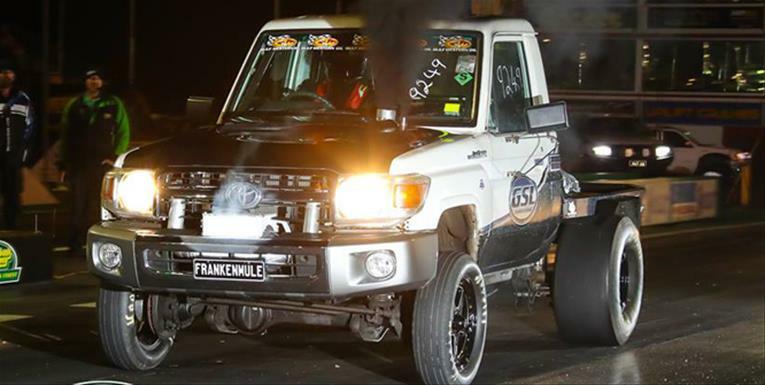 2 Jul 18 - Willowbank Raceway hosted another two great nights of grass roots motorsport over the weekend with one of the very popular ‘Diesel Assault” themed events on Friday night and Round 5 of the Street Series on Saturday. 20 Jun 18 - Among the many performance marks smashed during the running of Willowbank’s 51st Gulf Western Oil Winternationals was the raceway’s oldest track record. 19 Jun 18 - Queensland drag racer Josh Fletcher and father Bill got to live out a dream during the 51st annual Gulf Western Oil Winternationals at Willowbank Raceway last weekend, taking a 400 Thunder championship one-two in the Supercharged Outlaws division. 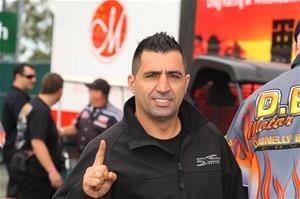 4 Jun 18 - There will be no team orders according to team owner Santo Rapisarda with Rapisarda Autosport International star Damien Harris needing to close a 33 point gap to series leader Kelly Bettes to win the 2017-18, 400 Thunder Championship at the Gulf Western Oil Winternationals on June 7-10. 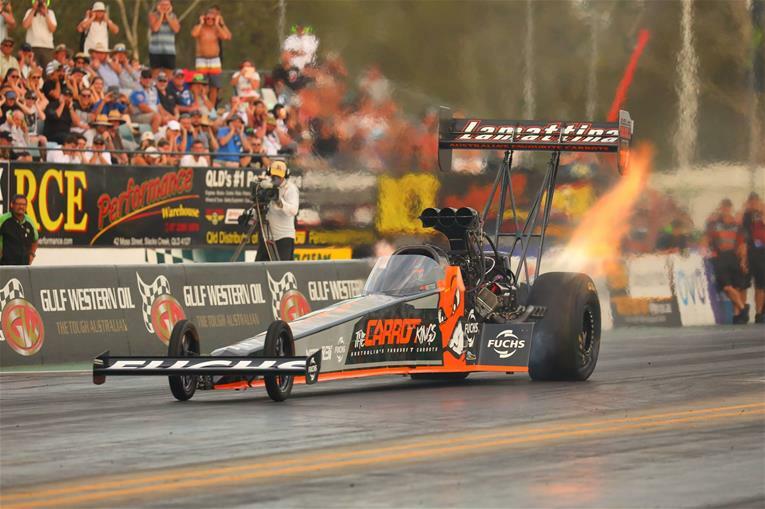 10 Apr 18 - The world's fastest chaplain will be praying for some good results and safe racing at Willowbank Raceway this Saturday night for Jet Car Thunder. 5 Apr 18 - There's a saying that old age and treachery will defeat youth and exuberance, but winners from both sides of the spectrum took home trophies at the Santo's Super Thunder event at Willowbank Raceway on Good Friday. 15 Mar 18 - Ashley Sanford will join Rapisarda Autosport International team- mates Damien Harris and Wayne Newby for the Santo’s Super Thunder meeting at Willowbank Raceway on March 30. 27 Feb 18 - Willowbank Raceway Vice-President, Paul Casos has announced his resignation from the track’s management board after 20 years of dedicated service. 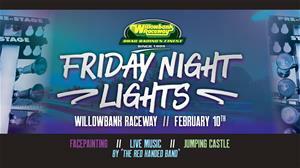 12 Jan 18 - A rewarding night of racing with a fantastic spectator response has launched Willowbank Raceway's 2018 year. 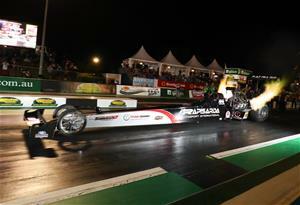 Queensland's premier drag racing venue played host to New Years Thunder, where the 400 Thunder Professional Drag Racing Series rolled into town for championship rounds of Top Fuel, Pro Slammer, Pro Stock and Pro Bike. 29 Nov 17 - Entries are open for Saturday 6th January, don't forget to get your entries in before Christmas! 24 Nov 17 - We extend a call out to all fans to support us with raising funds for the Board Family at Spring Thunder, this Saturday 25th November. 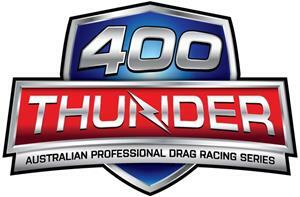 30 Sep 17 - Australia’s professional drag racing series, 400 Thunder today confirmed that commencing at the AC Delco East Coast Thunder event to be held at Sydney Dragway in early November, Top Fuel Dragsters will race to 1000 feet, rather than the traditional 1,320 feet (one-quarter mile). 11 Aug 17 - This month’s Honeywell Garrett Jamboree, presented by Tuners Edge and Link ECU, will host no less than four international drag racing stars all the way from Puerto Rico and to celebrate, a special Open Night will be held to officially welcome the international racers and their crews. 1 Aug 17 - 400 Thunder has today released the 2017/2018 season Professional and Sportsman calendar. 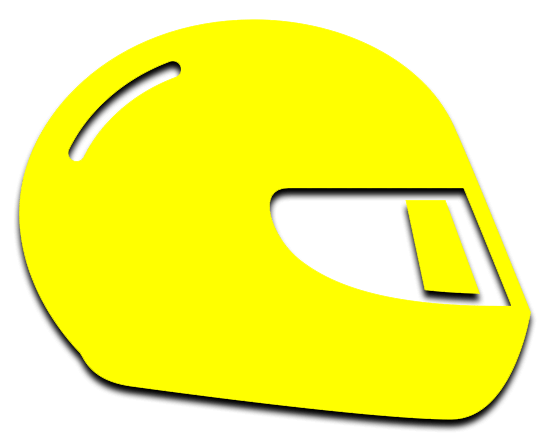 22 Jul 17 - In the year in which he would have turned 50, Willowbank Raceway honours the memory of Louie Rapisarda, who was widely acknowledged as Australia’s most promising Top Fuel driver before he was tragically taken from us in an accident at the track on July 22, 1990. After more than 35 years on Willowbank Raceway’s board of management, including 32 years as president, John “Stomper’’ Winterburn has stood down. 11 Jun 17 - The 400 Thunder Series picked up where it left off at the 50th Gulf Western Oil Winternationals on Saturday afternoon, with two qualifying sessions for the Professional Series to determine the lineups for Sunday’s elimination rounds. 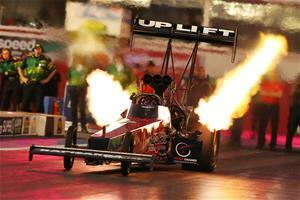 Headlined once again by a record-breaking day in Top Fuel, the pace remained hot throughout the day. 11 Jun 17 - The Gulf Western Oil 50th Winternationals, presented by the City of Ipswich, has been cancelled due to inclement weather. 10 Jun 17 - The 400 Thunder Series put on a show Friday evening with the first round of Professional Series qualifying for the 50th Gulf Western Winternationals. 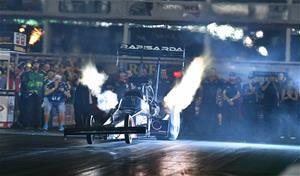 Headlined by a historic 4.44 Top Fuel pass by Rapisarda’s Damian Harris, the six professional brackets went hard early in their quest to earn the coveted Gold Christmas Tree. 9 Jun 17 - Willowbank Raceway has unveiled a once in a lifetime commemorative version of the 400 Thunder Gold Christmas Tree trophy that will be awarded to all Eliminator winners this weekend when the City of Ipswich presents the Gulf Western Oil 50th Winternationals. 9 Jun 17 - We would like to announce that Victor Bray will not be attending the Gulf Western Oil 50th Winternationals this weekend due to a pressing medical procedure that just can not wait. 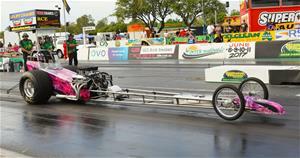 7 Jun 17 - Australian Professional Drag Racing (APDR) have signed an agreement with the “Nitro Up North” event to expand the 400 Thunder Drag Racing Series at Hidden Valley Drag Strip. 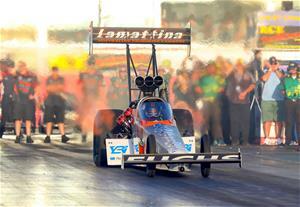 31 May 17 - Top Fuel Drag Racing is widely regarded as one of the most extreme forms of Motorsport the world over. With 10,000 horsepower on tap, immeasurable racing budgets and launches that place the driver’s body under 8Gs – two and a half times the force an astronaut experiences during a space shuttle launch - Top Fuelers are the sport’s flame-throwing, bone-rattling headline act; the unapologetic rock stars of Drag Racing. 5 May 17 - For 50 years, the Winternationals have been the definitive Australian Drag Racing event - the largest of its type anywhere in the world outside of North America, to give you an idea of the scale - and for 30 of those years, the Winternationals have called Willowbank Raceway home. 27 Apr 17 - One of the highlights of the Queensland Drag Racing calendar, the Cruzin Magazine Nostalgia Drags and Hot Rod Reunion, is knocking on the doors of Willowbank Raceway as hundreds of the country's best hot rods and race cars of yesteryear prepare to fill the state’s premier motorsport facility for a family-friendly weekend of retro fun. 18 Apr 17 - Perfect atmospheric and track conditions greeted the record number of entries in this one-day event, at the 400 Thunder Santo’s Thunder, held on Good Friday at Willowbank Raceway and brought to you by Uplift Cranes and Titans Cranes. Many inspiring moments that made the large crowd very appreciative but unfortunately a few very unpredictable moments made the meeting much more drawn out than wanted. 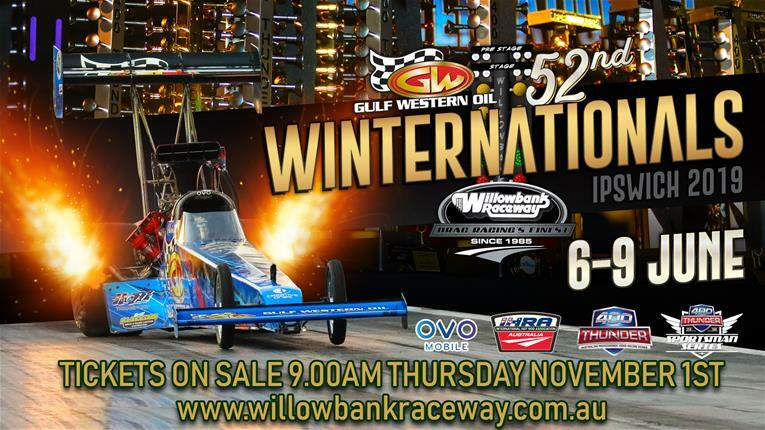 6 Mar 17 - As Willowbank Raceway prepares to celebrate the 50th running of the Winternationals (June 8-11, 2017), its management is pleased to announce the signing of Gulf Western Oil as the marquee event’s new naming rights sponsor. 14 Feb 17 - An incident occurred on Friday night during the running of the inaugural Friday Night Lights event where a competitor struck a raceway official. 13 Feb 17 - IHRA as a recognised leader in safety standards has been working to improve safety standards within Australia. 16 Jan 17 - Following the competitive debut of the new-look Gulf Western Oil Team Bray outfit at Willowbank Raceway, Victor and Ben Bray are now hustling to get ready to head to Sydney Dragway for next weekend’s Santo’s Summer Thunder event (21 January). 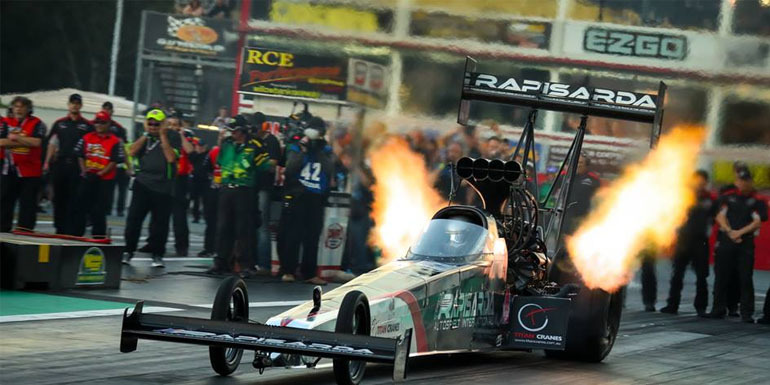 5 Jan 17 - This Saturday, January 7th, will see the awesome Top Fuel Dragsters return to Willowbank Raceway with the world class Rapisarda Autosports team spearheading the assault. 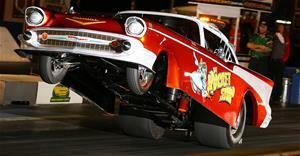 7 Oct 16 - Willowbank Raceway today announced that the headline act for their upcoming Outlaw Armageddon event, US Drag Week Veteran Larry Larson, will now be racing both of his iconic Chevy street cars. 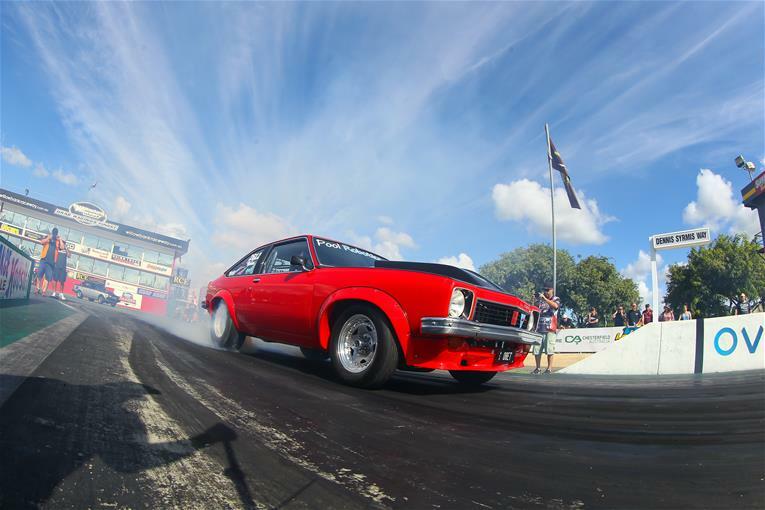 6 Oct 16 - Named by Hot Rod Magazine as the ‘King of Drag Week’, Larson is the world authority on the planet’s fastest street cars and thanks to Willowbank Raceway he’ll be heading to Australia with his world-famous Chevy Nova to race at Outlaw Armageddon over the New Year’s period. 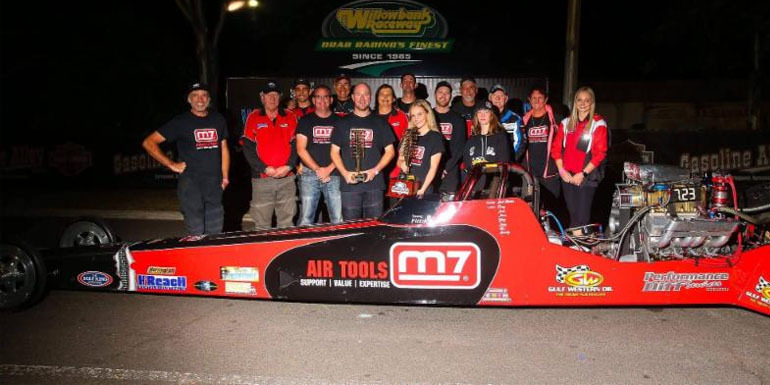 21 Sep 16 - Nerang’s Christopher Schaper is leading the Diamond T Products Junior Dragster point standings as Willowbank Raceway prepares to host the final round of the 2016 JP Racing Eighth Mile Drag Racing Series this Saturday September 24. 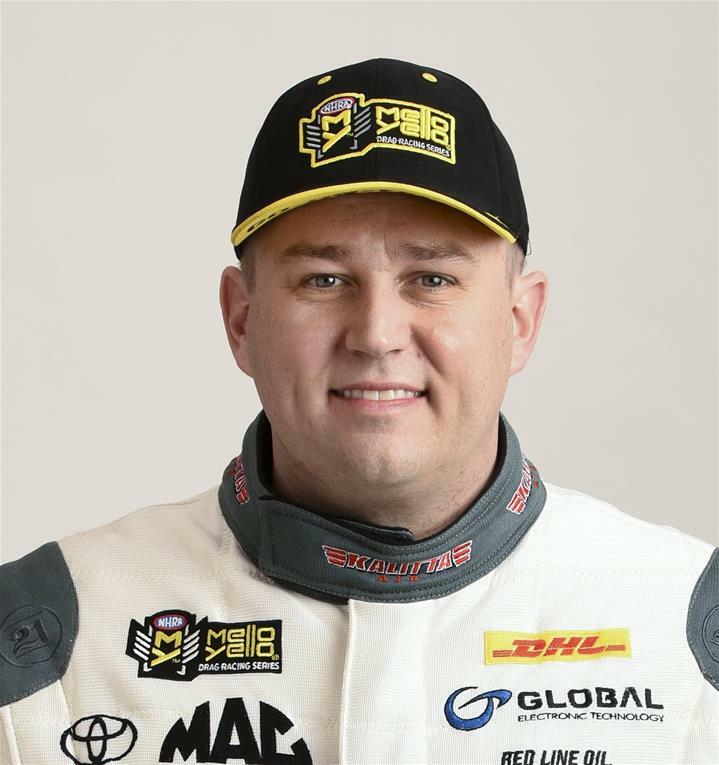 19 Sep 16 - Ex-army serviceman Josh Pile is leading the point standings of the 2016 JP Racing Eighth Mile Drag Racing Series Super Street category with just one round left to run. 19 Sep 16 - It was a beautiful day for the sixth round of the Queensland Drag Racing Championship on Saturday at Willowbank Raceway. Playing host to 200 entrants, it was an action packed day full of competitive head to head racing. 16 Sep 16 - Willowbank Raceway is known around the country as one of Australia’s finest drag racing venues, home to one of the world’s largest Drag Racing meets the Winternationals. 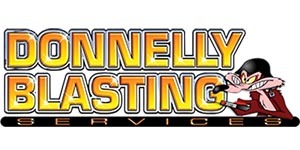 However, the track is passionately committed to serving grassroots Australian Drag Racing, and nowhere is this more evident than through their annual Queensland Drag Racing Championship Series. 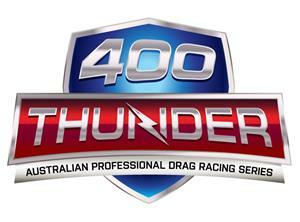 7 Sep 16 - As the 400 Thunder Professional Drag Racing Series moves closer to the season opener in Cairns, the Series has announced the re-branding of all events that fall under the 400 Thunder Banner. 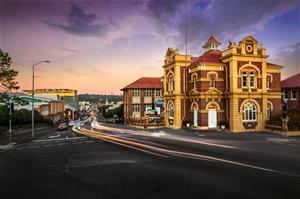 WILLOWBANK PREPARES FOR A RETRO REVIVAL! 12 Aug 16 - Willowbank Raceway will come alive this Sunday 14th August, 2016 as classic and chrome-bumpered drag cars of an era gone by fill out Queensland’s premier Drag Racing venue for an action-packed day at The Cruzin' Magazine Nostalgia Drags and Hot Rod Reunion. 11 Aug 16 - In recognition of a lifetime of commitment to drag racing, Willowbank Raceway has announced Graeme Cowin as the Grand Marshall of the 2016 Cruzin Magazine Nostaglia Drags and Hot Rod Reunion. 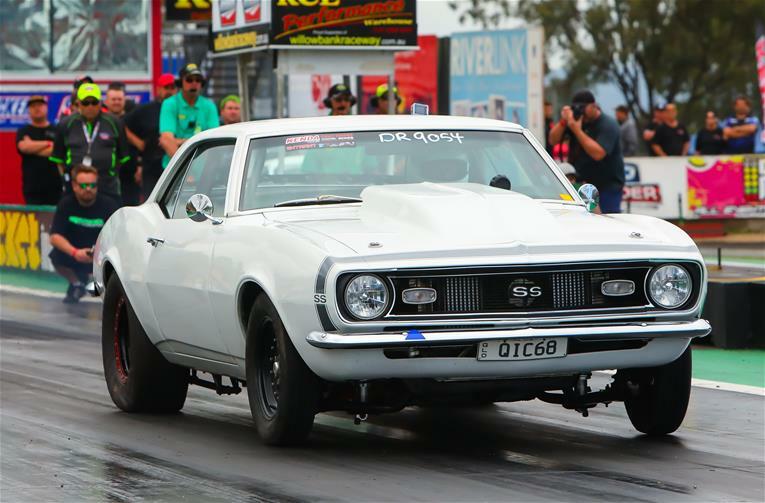 3 Aug 16 - When the JP Racing Eighth Mile Drag Racing Series heads to Ironbark Raceway this weekend (Saturday 6 August) for its third round of the year, 33 year old local Auto Electrician Paul Winkel will be part of a field of local racers looking for success. 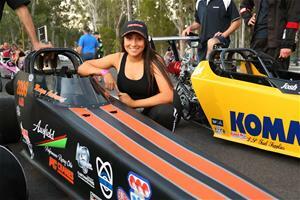 2 Aug 16 - Queensland race fans will get a taste of nitro with the confirmation the Aeroflow Nitro Hot rods of Wendy and Graeme Cowin will be debuting at Willowbank Raceways Cruzin Magazine Nostalgia Drags & Hot Rod Reunion, August 14. 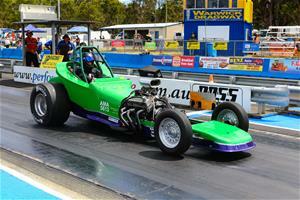 WILLOWBANK RACEWAY GEARS UP FOR MOPAR MADNESS! 29 Jul 16 - If you needed any proof that Mopar Sunday, one of the most legendary motorsport events to ever be run at Willowbank Raceway, is a family-friendly event then just ask Event Promoter Sam Tatton where it all started and he’ll tell you that family and community is at the very core of the all-Chrysler celebration. 27 Jul 16 - The second round of The Cruzin' Magazine Nostalgia Drags and Hot Rod Reunion will see hundreds of Hot Rodders from around the country blow the dust out of their cars and set a course for Willowbank Raceway on 14th August, 2016 where they'll be in for a celebration of the quickest and fastest cars of yesteryear. 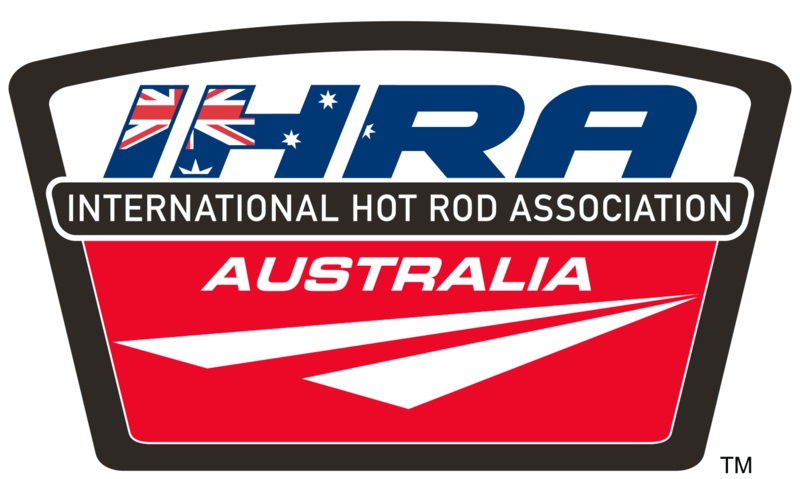 22 Jul 16 - Following the conclusion of the inaugural 400 Thunder Drag Racing Season, the International Hot Rod Association (IHRA) is set to increase its commitment to Australian drag racing, with a goal to move the sport to greater heights. 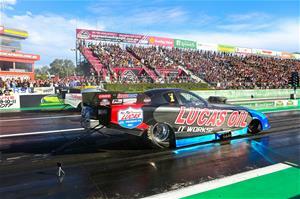 29 Jun 16 - Gary Phillips has claimed his 19th Australian Championship in his Lucas Oils Alcohol Funny Car en-route to his 13th Winternationals win, in front of a huge crowd last weekend at Willowbank Raceway. 28 Jun 16 - As Willowbank Raceway staff and officials begin preparations for the historic 50th running of the Winternationals in 2017, a review of performances at the 2016 City of Ipswich-sponsored event shows that it enhanced its long-established reputation as a world-class drag race. 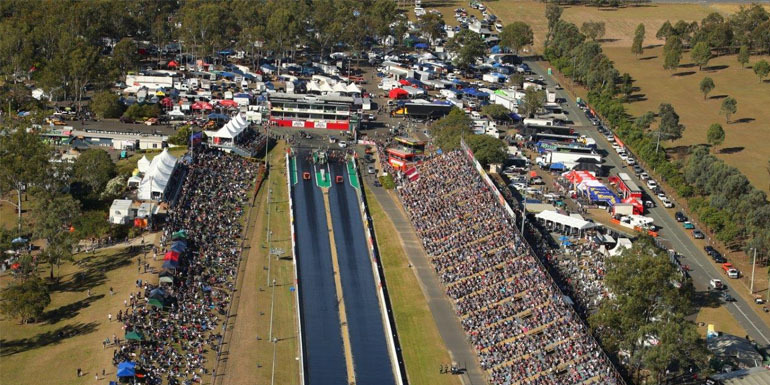 25 Jun 16 - From whichever way you looked at it, the 49th running of the Winternationals at Willowbank Raceway, generously supported by the City of Ipswich in 2016, was a record-smashing event that solidified the Winters as the premier Championship Drag Racing event on the Australian Motorsport calendar. 16 Jun 16 - Under the lights of Willowbank Raceway on the evening of Friday 10th June, 2016, John Cannuli and his Crossroads Racing team prepared for their first Qualifying Round at the 2016 City of Ipswich Winternationals. 12 Jun 16 - For the final day of racing for the 2016 City of Ipswich Winternationals, Australian drag racing fans threw their support behind the field of 406 entrants and got themselves trackside to see some of the best racing action Australia can muster. 12 Jun 16 - If fans thought that the days leading up to the fourth and final day of the 2016 City of Ipswich Winternationals had been the stuff that memories were made of, then nothing could have prepared them for the wild racing action that marked the finals competition of the 49th running of Australia’s most prestigious Drag Racing event. 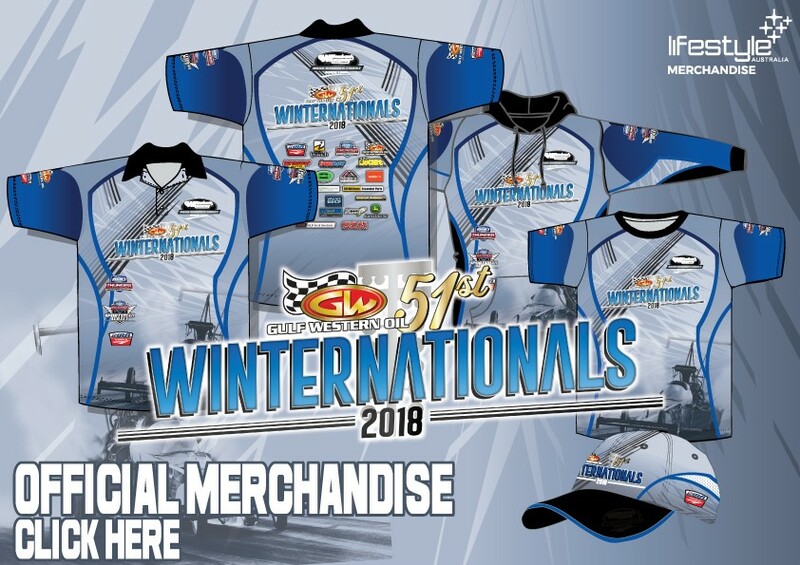 11 Jun 16 - For 49 years the Winternationals has been the jewel in the crown of Australian Drag Racing; the pinnacle of the racing season, and a melting pot of the most talented racers the country has to offer. 11 Jun 16 - Saturday 11th June, 2016 marked the third day of the 2016 City of Ipswich Winternationals, and while a little morning cloud cover over the track kept track temperatures down for the first half of the day, nothing could cool down the racing with a bumper field of 406 entrants enjoying yet another day of memory-making, record-tumbling racing at Willowbank Raceway. 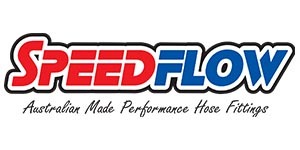 11 Jun 16 - With a grandstand packed to the brim with Australian Drag Racing fanatics, fans were treated to history in the making as they bore witness to the quickest ever side-by-side Top Fueler pass during only the second Qualifying Session for the Fuelers. 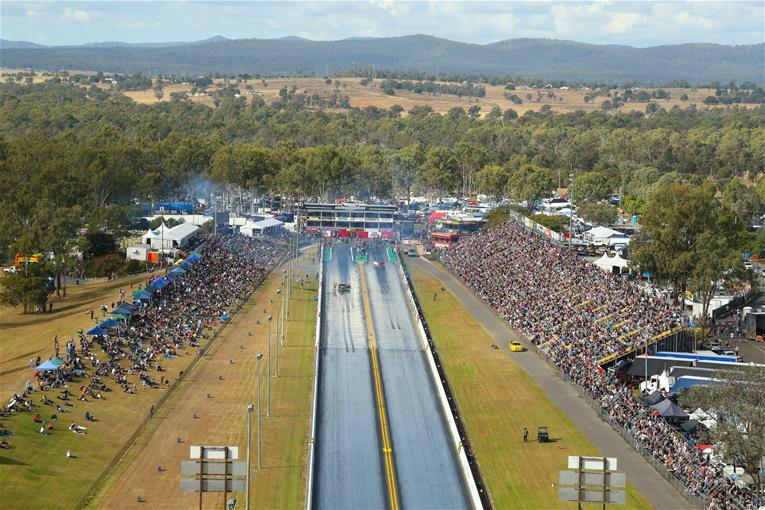 10 Jun 16 - Ipswich is gearing up to welcome Australia’s most passionate drag racing fans for the City of Ipswich Winternationals. Each year, disciples of the quarter mile make their annual pilgrimage to Ipswich for the ‘Winternats’ - the biggest drag racing meet outside of North America. PRO CLASS QUALIFYING LIGHTS UP THE WINTERS! 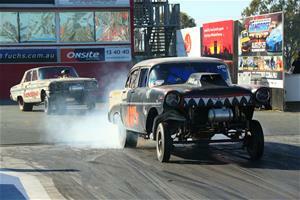 10 Jun 16 - For 49 years, the Winternationals has been a staple of the Australian Drag Racing calendar. Starting it’s life at the historic Surfer’s Paradise Drag Strip, the event moved to Willowbank Raceway 29 years ago and has grown in to the flagship event of Willowbank Raceway; a claim solidified by record-breaking crowd attendance figures and a burgeoning field of over 400 entrants, making it the single biggest Drag Racing event anywhere in the world outside of North America. 400 THUNDER STORMS THE WINTERNATIONALS! 9 Jun 16 - One of Australia’s newest and most exciting Drag Racing Series, 400 Thunder, has the 2016 City of Ipswich Winternationals fixed firmly in their sights for an all-out assault on one of Australia’s most iconic race tracks, and the biggest Drag Racing event on the national calendar! 9 Jun 16 - As an innovative way to help Sportsman entrants get extra track time as well as a second chance at Winternationals stardom, Willowbank and Australia’s most-exciting new racing series, 400 Thunder, debuted a new sub-event on the Thursday afternoon of the 2016 City of Ipswich Winternationals – the 400 Thunder Sportsman Shootout. 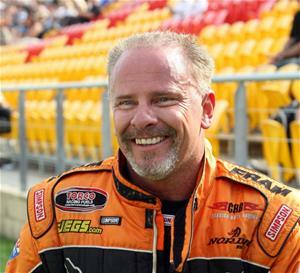 8 Jun 16 - Since its inception in 1992, the Junior Dragster field in Australia has been the breeding ground for some of Australian Drag Racing's finest talent including the likes of Ben Bray, who started his multiple National Championship-winning career behind the wheel of a Junior Dragster. 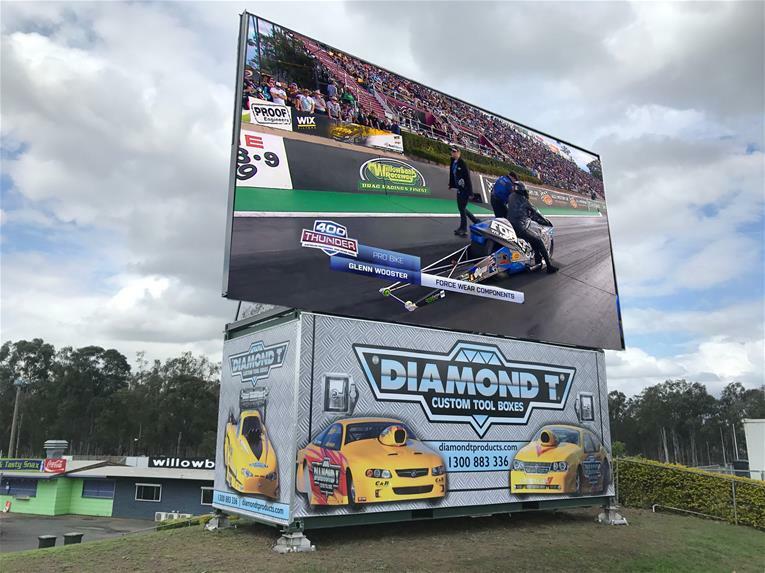 7 Jun 16 - Australia’s premier Championship Drag Racing event, The 2016 City of Ipswich Winternationals, will this year reach larger audiences than ever before thanks to a live-streaming partnership with 400 Thunder. 3 Jun 16 - The 2016 City of Ipswich Winternationals will see one of the largest and most-talented fields of Pro Slammers take to the Willowbank strip, and with a new Australian Championship on the line fans are guaranteed some of the most exciting racing the bracket has seen all year! SPORTSMAN SHOOTOUT: ONE EXCITING SHOT AT GLORY! 31 May 16 - Committed to bringing racers the most dynamic and exciting racing experience, as well as finding new ways to give Sportsman entrants more time on the track, Willowbank Raceway and the 400 Thunder team will debut a new shootout-style sub-event on Thursday 9th June at this year's City of Ipswich Winternationals. 26 May 16 - In its 49th year bringing eager racers from all around Australia and New Zealand to Queensland's Willowbank Raceway, the City of Ipswich Winternationals has every right to regard itself as the jewel in the crown of Australian drag racing, and one of the pinnacle events on the Australian motorsport calendar. 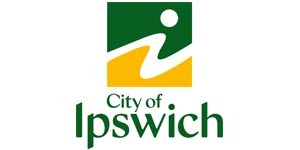 26 May 16 - IPSWICH City Council has taken another important step in its plan to revitalise the Ipswich Motorsport Precinct, signing on as naming rights sponsor for the 2016 Winternationals. 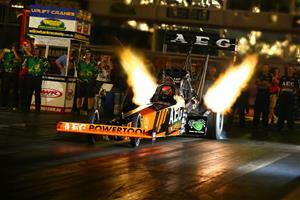 1 May 16 - The Aeroflow Outlaw Nitro Funny Car teams put on a massive show for the huge crowd at Queensland's Willowbank Raceway and the event left the spectators on the edge of their seats until the very end of the night! 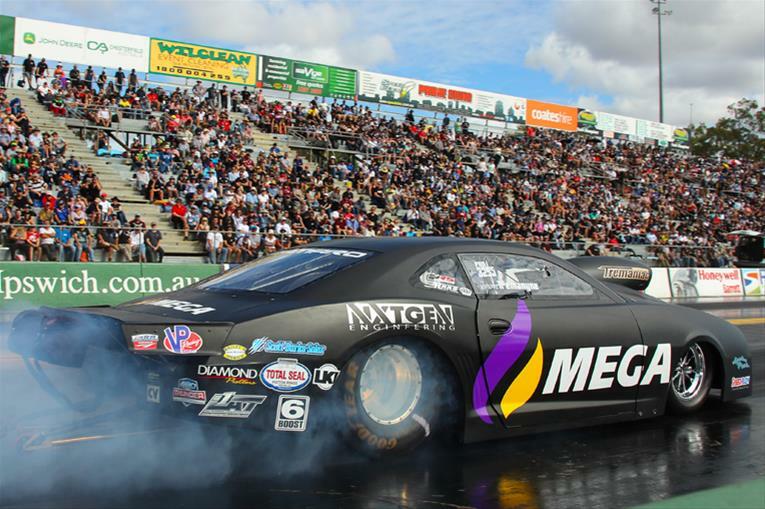 29 Apr 16 - The Aeroflow Outlaw Nitro Funny Car show has rolled into Queensland and whilst the teams are set to take on not only each other this weekend, they are chomping at the bit to let the 4000hp flame throwing beasts loose on the superb Willowbank Raceway track surface. 20 Apr 16 - The coolest show in all of drag racing will once again be at Willowbank Raceway on the 30th of April. Featuring a massive field of 14 nitro cars as well as Nitro Sheriff and the Rocket Ship – wheelstanding funny cars that race the full track on their back wheels! 13 Apr 16 - Queenslands largest combined Auto Show and Swap Meet, the Queensland Autospectacular, is on this Sunday April 17th at Willowbank Raceway. 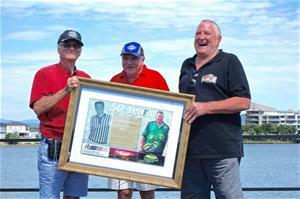 12 Apr 16 - The 50th anniversary for Surfers Raceway and the US Dragfest turned into a nostalgic talkfest as hundreds attended celebrations on April 10 at the site formerly occupied by the Gold Coast race track. 5 Apr 16 - Racers set seven Willowbank track records during the 400 Thunder Sportsman Series on April 2. Zelow, Newby, Matheson and Tremayne claim gold at the Santos Super 3! 25 Mar 16 - The first night of the 400 Thunder Santo’s Super 3 Extreme has been run and won. The large crowd was treated to some awesome racing from the 4 Pro classes, along with the supporting brackets. 6.3 Seconds Not Good Enough!! 18 Mar 16 - The upcoming BlackAdda Top Bike double round of the Santos Super 3 Extreme 400 Thunder Series is expected to deliver! 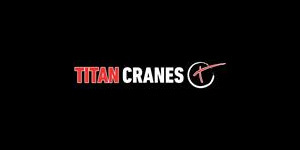 16 Mar 16 - American drag racing star Cory McClenathan will be looking to make it three Aussie victories in a row this Easter, when he takes on the Santo’s Super 3 Extreme Drag Race Event, presented by Uplift Cranes and Titan Cranes (25 and 26 March). 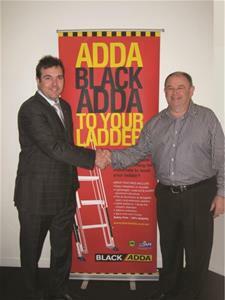 4 Mar 16 - BlackAdda have teamed up with IHRA 400 Thunder Series & Willowbank Raceway to sponsor the Top Bike category at the Santo’s Super 3 Extreme event, to be held over the Easter weekend on 25th & 26th March 2016. 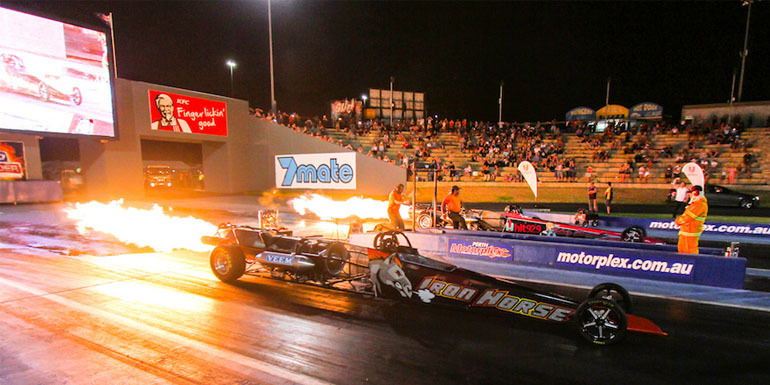 3 Mar 16 - Top Fuel fires into action over Easter as the 400 Thunder National Drag Racing Series hits Willowbank Raceway over two days, Good Friday the 25th and Saturday the 26th of March. 19 Feb 16 - Willowbank Raceway CEO Tony Manson has announced that he is stepping down from the role to be closer to family – his decision effective immediately. 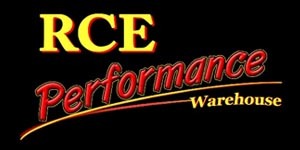 17 Feb 16 - When the JP Racing Eighth Mile Drag Racing Series kicks off at Warwick Dragway on Saturday February 20, reigning champion Paul Doeblien will be looking to start his campaign for back-to-back titles in the best possible way.